The place looked all set on Thursday. They’ll unlock the gates on Friday. 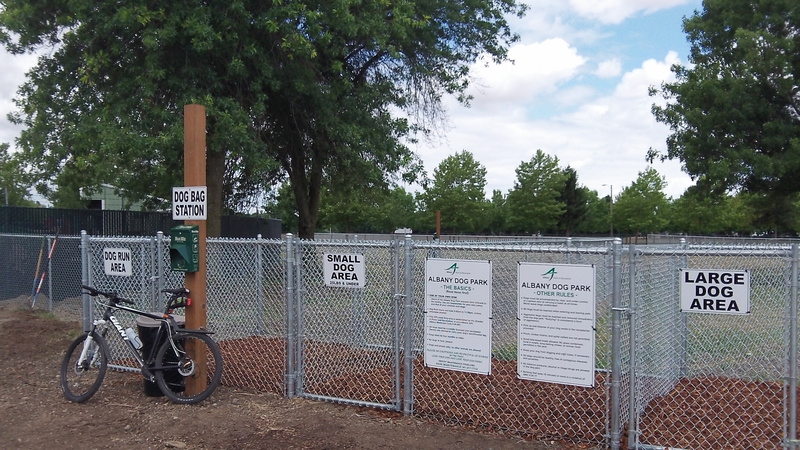 On a ride around town today, I checked on progress at the new dog park at Timber Linn Park. I found the place ready to open but still locked up. when I got home in the afternoon, there was an email from Albany Parks Director Ed Hodney announcing that the dog park was indeed finished and that it will open tomorrow, July 25. The area, about two acres on the north side of Timber Linn Park by the side of Timber Lake, is fenced so that dogs can run off their leashes, which Albany otherwise does not allow whenever dogs are in public. 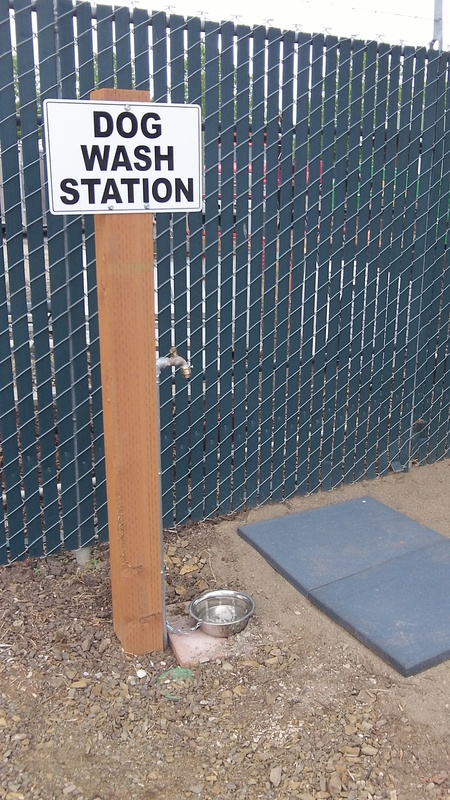 There are three separate enclosures: a dog run and one area each for small dogs and big ones. The place bristles with signs, as well as rules. Among others: No bullying, just like in grade school. There is dog segregation by size. A place for muddy to get clean. The parks director told me earlier that having a contractor install the fencing cost $24,000. Signs and a water line added to the expense, but he said the whole thing came in at well under the budget estimate of $40,000. Good, maybe the people using cemeteries for dog runs will use this and stop leaving messes for others to step in. Why is it there is always a negative comment. 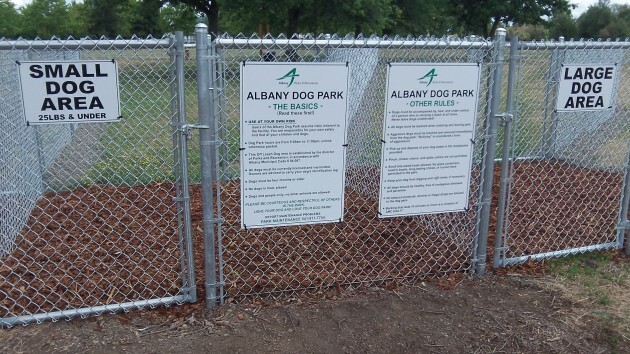 I am so excited that Albany finally has a dog park!!! And it’s separated for small dogs/large dogs!! I have huskies, so I am very cautious with them, particularly around smaller dogs. 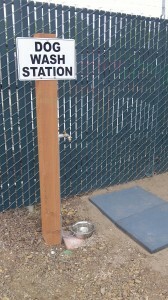 I was up in Independence last summer and loved their dog park. I hope this one is as nice.